With so many apps being developed every other day, it gets hard to reach out to the users. 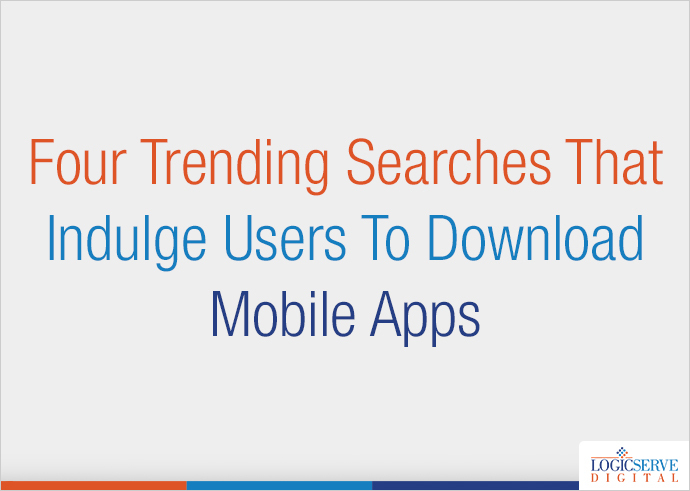 If you are looking forward to developing mobile apps and would like to reach out to the users so that they download it, then this post will help you demonstrate four popular searches that will give you a better idea for the type of app you should focus on. In this fast-paced world, nobody has time to slack off and perform a task with delays. This thinking is where people tend to search for apps that can provide convenience. For instance, grocery apps that will let users get options like a pickup or home delivery, or a restaurant app that permits them to reserve tables. Another popular trend that follows among app users is to learn and improve skills. This can relate to learning the piano or guitar, or learning a new language, etc. People have been keen to advance their skills, which is why many searches since last year have been focused on apps that help in teaching people something new. To overcome the burdens of life, app users also like healthy bodies. Thus, many of the trending apps downloaded by millions were health-based ones. These apps were focused on teaching various exercises, nutritional plans, or yoga workouts for daily users. Some even come with synchronising abilities that let users monitor their heartbeats using external wearables such as smartwatches. Another trending category among apps is the one that offers coupons to save on meals or other items. With a vision to save as much money as possible, people downloaded such apps and looked forward to saving more on their purchases. Not all apps, which are developed, can achieve the popularity standards of Snapchat, Pokémon Go or Candy Crush. That totally depends on the interaction between the app and the user. If the latter finds good use for the app, then there are chances that the app achieves recognition. Not to mention, a highly useful app may never be known to a user as it somewhat depends on luck as well. Another situation may arise where a user may find your app but may still not feel the compulsion to keep using it. Therefore, it is also necessary that the app developers use interactive methods to keep a user engaged to the app from time to time.